John A. Thiessen: musician and churchman; born 3 September 1935 in Killarney, Manitoba, Canada to Aaron Bernhard Thiessen (11 September 1907, Petrovka, Naumenko, South Russia – 3 March 1982, Abbotsford, British Columbia, Canada) and Anna (Braun) Thiessen (21 September 1904, Ekaterinovka, Ignatyevo, South Russia – 5 June 1997, Abbotsford, British Columbia). He was born into a loving family with brothers Barney, Henry, Jake, and Art, and sisters Sarah, Mary, and Margaret. He married Margareta "Rita" Baerg, daughter of William Baerg (1907-2002) and Maria (Lepp) Baerg (1912-1999) on 28 August 1959 in Greendale, British Columbia (BC). John and Rita had three boys: Howard, Robert, and Brian. John died on 22 July 2016 in Abbotsford, BC. The Thiessens lived on a farm near Lake Killarney, Manitoba. Times were difficult so the Thiessens moved to Abbotsford, BC in 1944, where they purchased property on Huntington Road. They spent several months working to clear the stumps so they could build their home and barns and plant berries and fruit trees. John accepted the Lord as his personal Savior at the age of ten and was baptized at 15 years of age, joining the South Abbotsford Mennonite Brethren (MB) Church. There he joined the church choir under the direction of Albert Dyck, and later, C. D. Toews. He sang in Menno Neufeld’s Bethel Choir (1955-1975), performing the great oratorios. During this time John began his solo tenor career. He studied voice with Bill Reimer, Rudy Baerg, and later with Dr. Jacob Hamm, who taught at the University of Western Washington, Bellingham. His musical gifts and talent were evident and widely in demand. It was in the Bethel choir that he met Rita Baerg who he married in 1959. John worked in the poultry industry in various capacities, including a feed truck driver, a bookkeeper, a buyer for feed, and eventually a salesman, where he made many new and lasting friends. He worked for Clearbrook Grain and Milling for 18 years, Wall and Redekop Feeds, and Masterfeeds, where he worked until "retirement" at age 67. In 1966 John and Rita joined Bakerview MB Church where John sang tenor in the Chancel Choir for over 30 years. John was a soloist regularly in services as well as at banquets, programs, and memorial services. John formed and led The Ambassadors (1970-1990) a vocal ministry team that served extensively throughout the Fraser Valley, Vancouver, Lower Mainland, and Alberta, eventually recording ten albums. In the 1990s John sang in a male quartet at Bakerview, which came to be known affectionately as "Johnny T. and the Other Three." In 1996 John joined with Wilmer Neufeld and Ray Harris to form Abbotsford’s Three Tenors. Originally this trio intended to serve in a one-time performance for the New Year’s Eve Service at Bakerview (to provide some competition for the "other" Three Tenors who were performing at BC Place in Vancouver that evening.) The trio became a novelty and was popular for several years, singing at various conferences and concerts including the World Evangelical Conference at Central Heights, Abbotsford in 1997. In 1998 John sang in the Chancel Choir and male quartet in the recording Bakerview Sings. John also recorded a solo CD produced by his son Brian. John and the original Ambassador Quartet sang with Brian Doerksen and band in 2003 on a cross-Canada “Hope for the Nations” tour. John was involved in several Brian Doerksen DVDs and the Ambassador Quartet was a special guest on his CD Holy God. For 15 years John and Rita were part of the Trinity Western University Masterworks Choir and had the opportunity in 2008 to travel to Kiev, Ukraine with a group to visit the Music Mission Kiev. This international ministry became a passion for them, resulting in John and Rita serving on the Board of Directors (2011-2016) and assisting in three North American Tours (2012, 2014, and 2016). John and Rita enjoyed camping with their family, frequent trips to Alberta to attend Gospel Music Conferences, fishing trips, and various vacations and cruises with dear friends, always continuing in active service at Bakerview MB Church. Harris, Ray. "Thiessen, John A. (1935-2016)." Global Anabaptist Mennonite Encyclopedia Online. January 2017. Web. 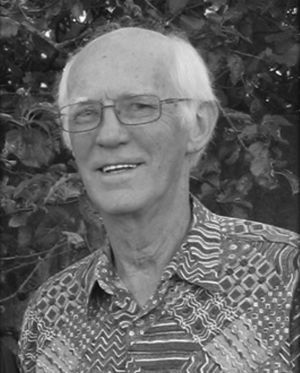 20 Apr 2019. http://gameo.org/index.php?title=Thiessen,_John_A._(1935-2016)&oldid=147270. Harris, Ray. (January 2017). Thiessen, John A. (1935-2016). Global Anabaptist Mennonite Encyclopedia Online. Retrieved 20 April 2019, from http://gameo.org/index.php?title=Thiessen,_John_A._(1935-2016)&oldid=147270. This page was last modified on 23 February 2017, at 08:52.